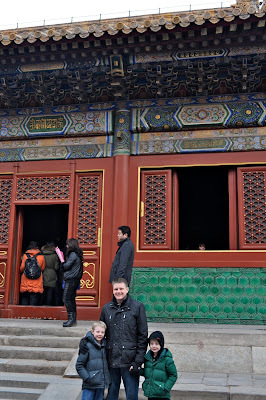 Our very first tourist outing in Beijing, was to the Lama Temple. It was COOOLLLD that day, but we persevered. 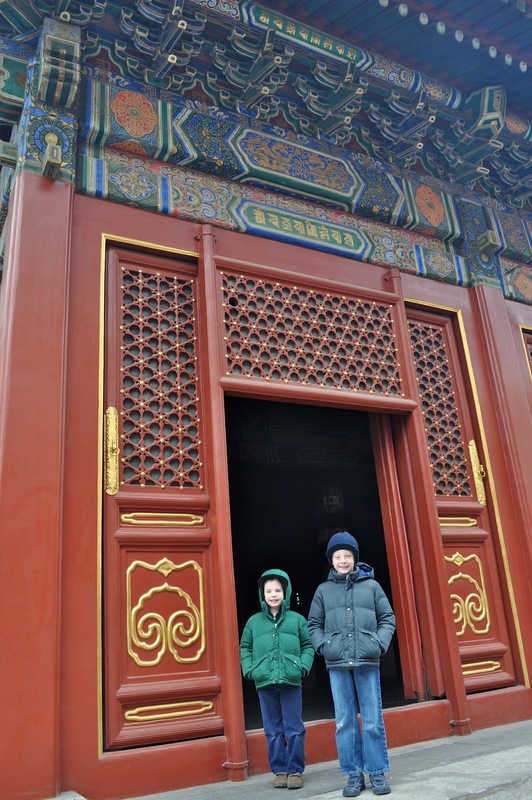 We know we are going to be in Beijing for several years, and the list of must-see sites isn't all that long (at least my list isn't), but the weather, pollution, and crowds are major deterrents to venturing out. 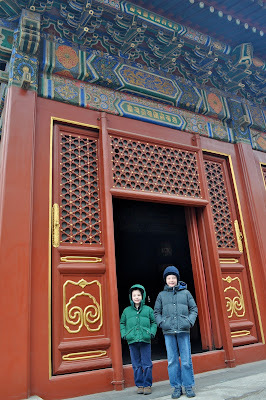 Consequently, our touristing in Beijing has thus far been fairly limited. But, we are coming to terms with the reality of living in a city of 24 million people and recognize that if we wait for an ideal day, we'll never see anything. 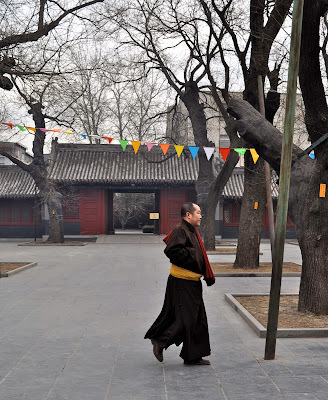 The Lama Temple has been a lamasery (monastery for lamas - Tibetan Monks) since the mid-1700s and there are still monks living and working there today. At the entrance to the temple there were dozens of vendors selling incense. People bought it in massive quantities and then brought it inside to light and pray. 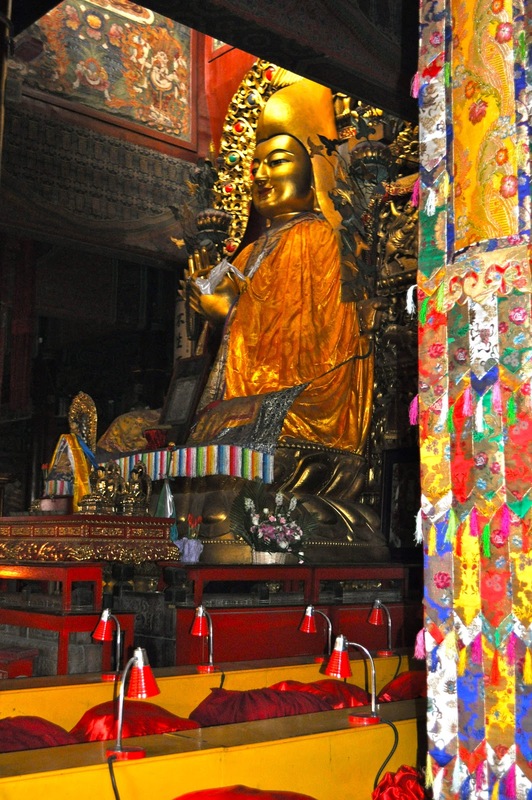 The temple was originally built as a royal residence so the architecture is much grander than the average lamasery or temple. So many offerings -- it was a veritable bonfire. In Chinese architecture, yellow is the Imperial color. 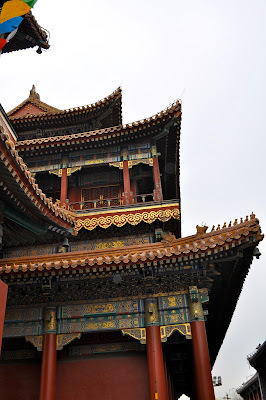 Accordingly, most of the roof tiles at the lamasery are yellow signifying that the emperor once lived there. The buildings were all this detailed. So intricate and so beautiful. One of the many, many buddhas we saw on this visit. 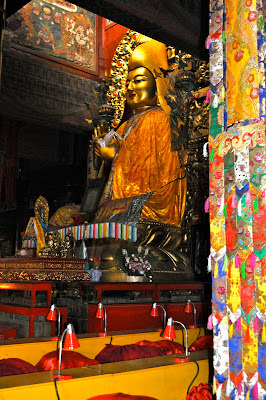 This is the largest building in the lamasery complex. It is also the most important as evidenced by the number of figures adorning the corners of the roof. There are seven out of a maximum nine, indicating that the duties performed inside this building are very special. Another buddha. 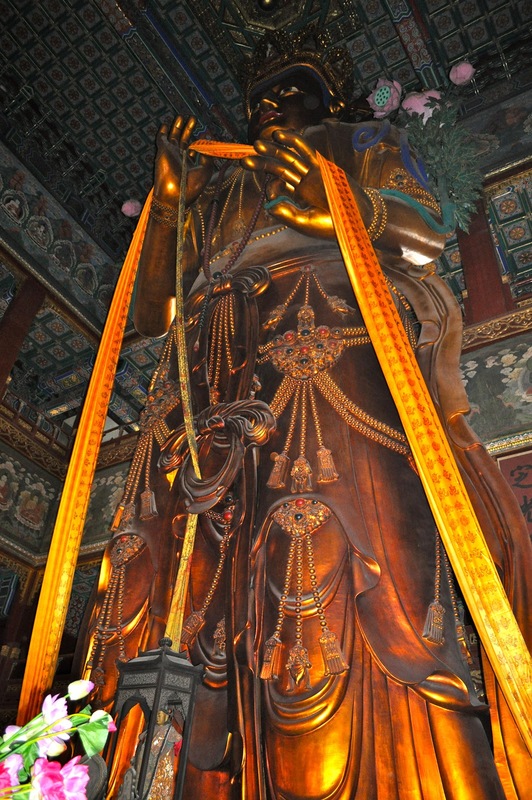 This one is 85 feet tall and carved from a single tree. The temple is symmetrical and each subsequent courtyard provided more opportunities for burning incense. 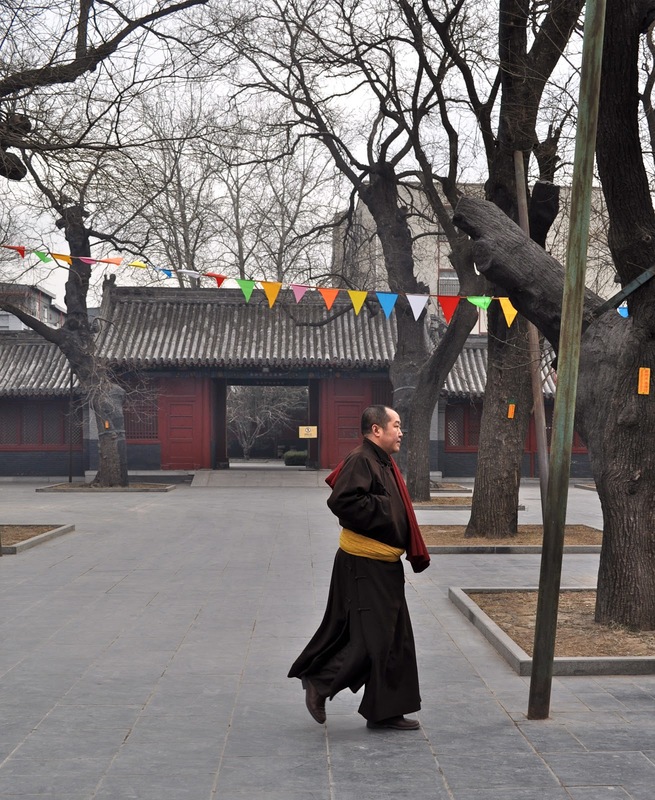 The lamasery covers 16 acres with its buildings and grounds. We saw most of it before the cold became unbearable. It is a beautiful complex and stunningly preserved. Luckily, it was saved during the Cultural Revolution for future generations to enjoy. too bad all the incense burning didn't seem to generate any warmth! :) Really, your list is short? That surprises me. Miss you!